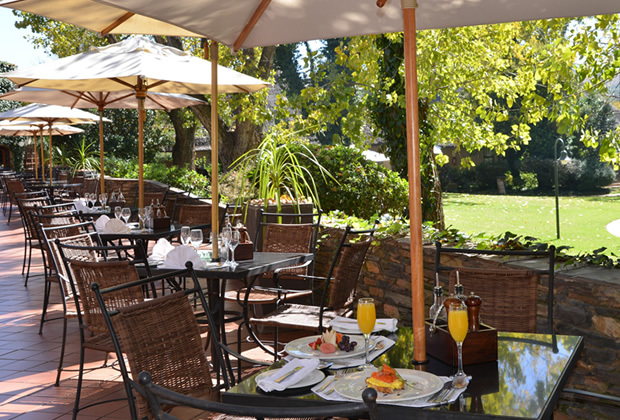 Valley Lodge & Spa is a four-star country hotel in scenic Magaliesberg, situated on the lush banks of the Magalies River and surrounded by a nature reserve. The lodge is just an hour’s drive from Pretoria and Johannesburg. Set in beautiful gardens, Valley Lodge offers a peaceful leisure break away from the city, and is also a good choice for conferences and weddings. Expect elegant accommodation, good food and warm hospitality in a beautiful setting. The Valley Lodge Spa and Hydra Therapy Centre has a team of therapists on hand to pamper and rejuvenate guests. For sightseers, the Cradle of Humankind World Heritage Site and Sterkfontein Caves are easily reached from the lodge. There's currently no specials at Valley Lodge & Spa. Valley Lodge has 8 conference venues of varying sizes and configurations. Please contact us for a detailed quote on this popular conference venue.